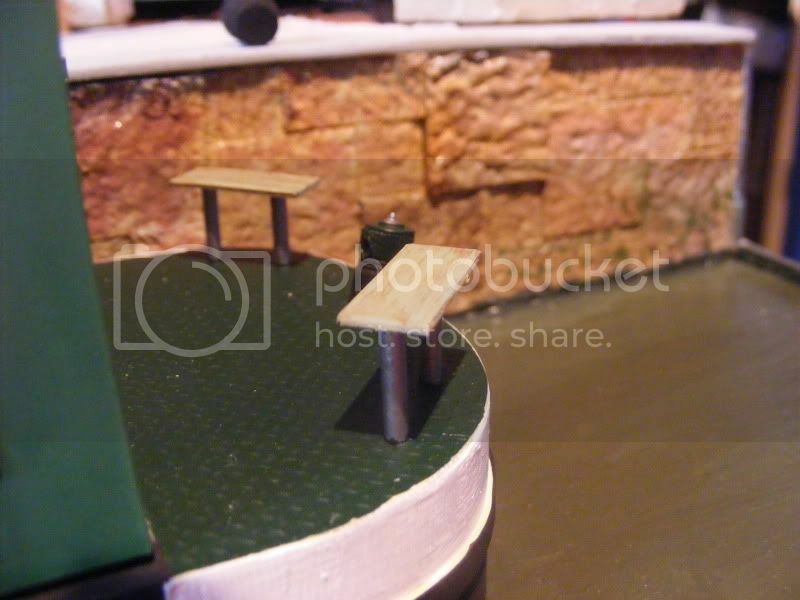 Started making an abbreviated narrowboat for my shelf layout/party size pizza, the layout is a back alley dockside kind of thing and I loved the Narrow boats since a few of you started making them a few years ago. 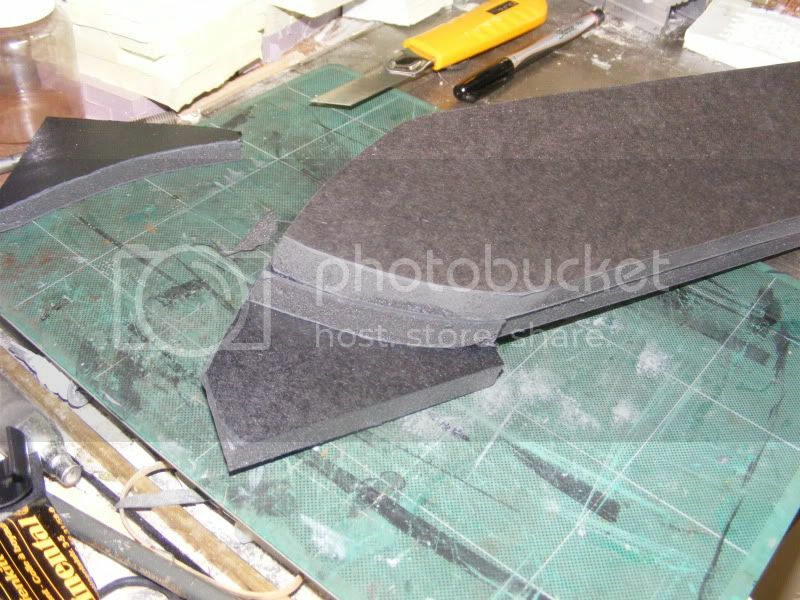 built the base out of Gatorboard, sort of a heavy duty foam board. 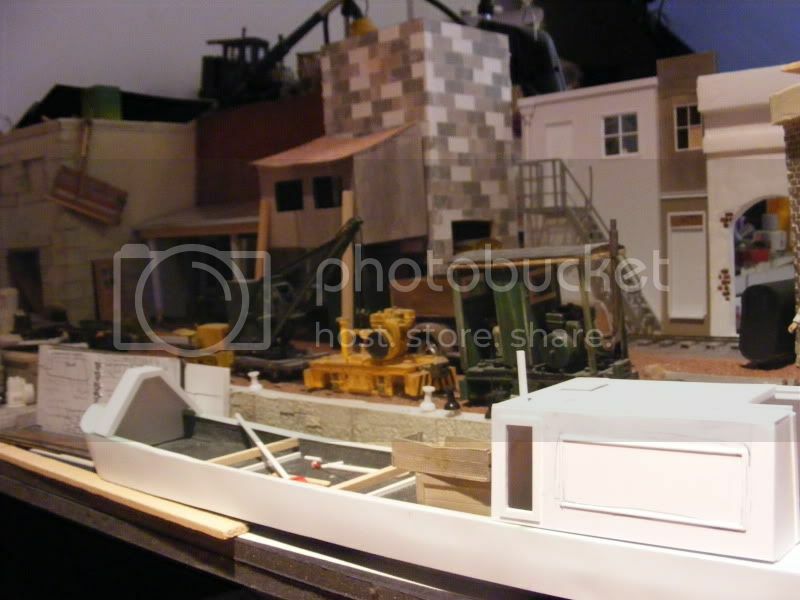 added a cabin and front bit, the engine room will have an open hatch and one of my Lister engines will be on view, there will also be and open hatch with a stove to view and a small living/dining area with a few details to see. But the boat owner had better look out for the moose on the mountain! Gatorboard, I would never thought of using that to make a boat. Well done. It looks like you have room at the wharf to make the boat quite a bit longer, why not? as you see I put the pins in the hinges, did a bit more painting put the engine in the bay and added the steering tiller bar. Good to see some interest in the canals as they often worked along side early railways. The narrow boats were ( as I found when I made two 60 footers for Smithies Yard) very subtle shapes. They had multi curved bows which were developed to create the least drag or bow wave. The book I used most was was "NARROW BOATS" by Tom Chaplin ISBN 0-905483-71-5. A great help to me. 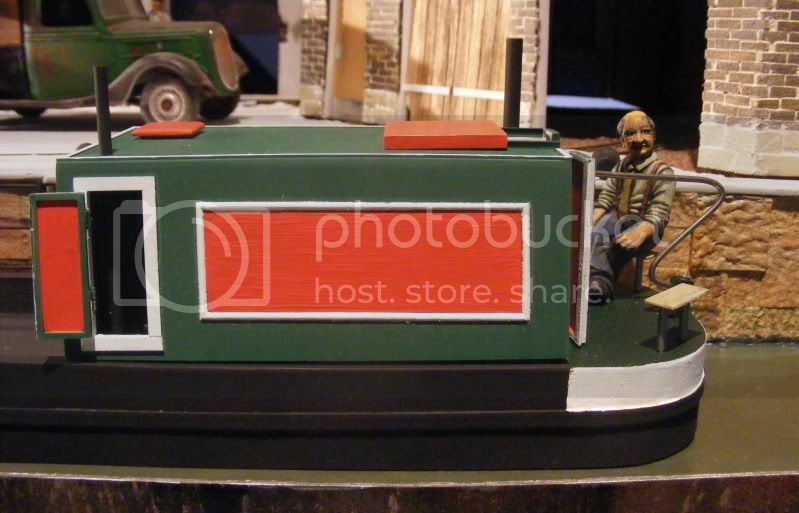 The pictures of my Narrow boats I think may still be found under Smithies Yard in past submissions. I found that making my own transfers was the best way to letter and decorate the boats. Ralph I did use your boats already for inspiration and if I think about it probably the original idea to build it. I have always loved the look of narrow boats. Just something about them is real fascinating. Lots of castles, roses and diamonds. All in bright colours of course. And not mentioning the fancy sign-writing for the company name. All of which explains why although I had a couple of starts making narrow boats I never managed to finish them.....those paint schemes really scare me. If the artwork on the boat is to be in panels, especially with beading around the edge. How about, designing it with something like Microsoft Powepoint and getting it printed on photographic paper using a laser printer at the local printshop. Last edited by ian_g_griffiths on Sun Jan 29, 2012 4:45 pm, edited 1 time in total. For transfers/decals laser printing is best but I did mine on an ink jet and gave them thin mist of varnish and they stood up to being pushed around. I did have one panel start to lift after about a year and I stuck it back with a little spay varnish, which seemed to work. A nice touch on narrow boats are the fenders at the bow and stern. I think I got mine from a model shop that did boat kits and they had a selection of sizes of fend-offs. Another nice touch on narrow boats are the brass rings on the cudy chimney. As a child I saw narrow boats at work on the Dearne and Dove canal during the time they were being scraped these were used for moving coal. The last four I saw were used as the centre of a fire on Guy Faulkes night . They were placed vertically in a pyramid and made a great blaze. Looking back, what a waste. 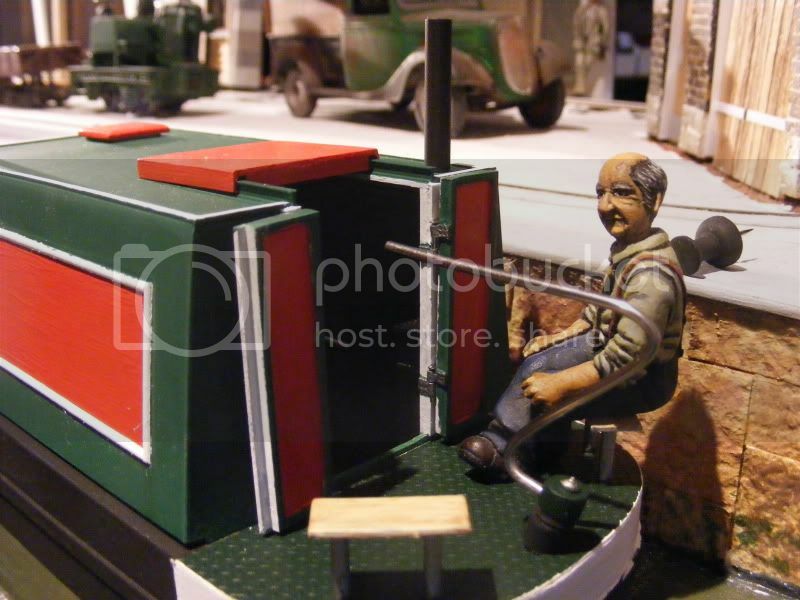 Keep up the good work and don't forget a narrow boat is a great place to use female figures as they often were the person in charge along with the children! 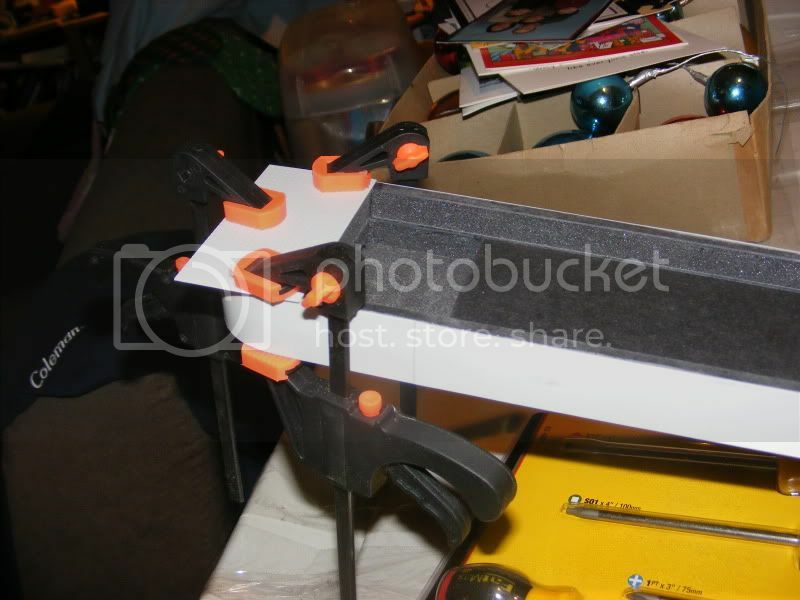 They look to be a great time savers and accurate for narrow boat decoration. Some letters would be useful for making up names, as the letters often had deep shading on them. 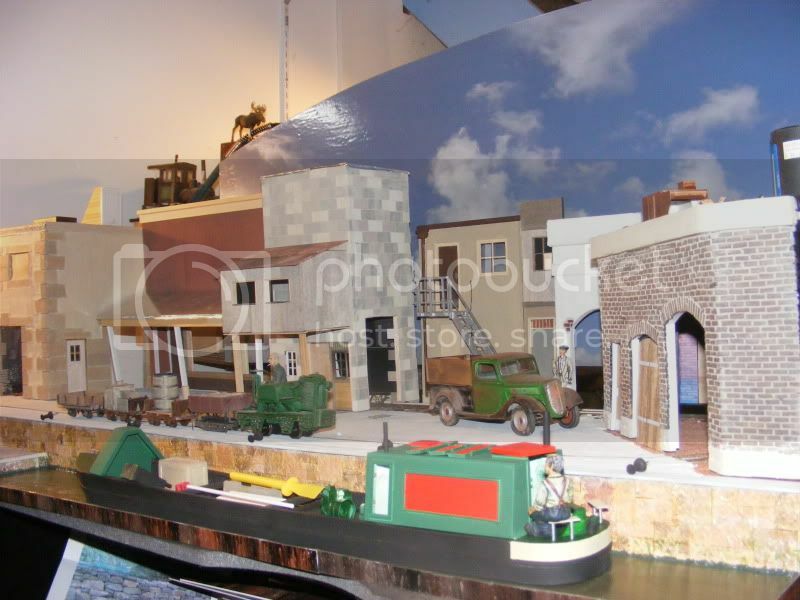 I would love to see a 1:12 scale narrow boat, that would be 6.feet long! The other day I checked all the model kits (cars) I had on hand and found between all the decals in the kits I could cobble together with some cutting and creating a fairly good sign for the boat. The main one had some good business type letters with some good looking pinstriping and other good looking details. Yesterday went to look for the sheet not where I thought I left it with the other decal sheets, twice have spent 1/2 hour looking for it Gone Gone Gone %&%^%^*!!. Those sheets look good Paul but by the time they got here it would double what I have spent on the layout, the idea was use what I have on hand and bits from stalled builds and old layouts. 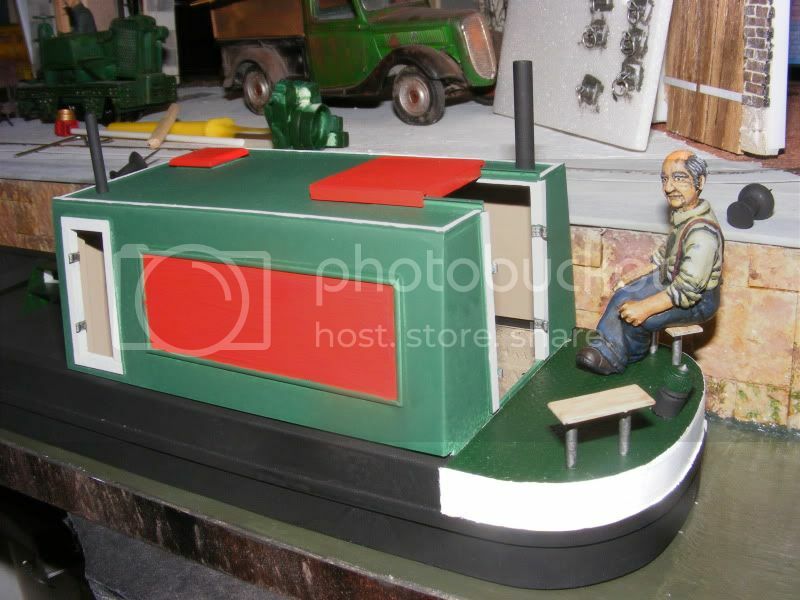 If you are really interested in building a narrow boat in 1/24 "the model maker plans service" (UK) has a plan of a canal narrow boat (#1170) by Vic Smeed. Don't know how much .... but I bet the postage for a plan is a lot less than the postage for a full hull. Just spent a little time on the web and it looks as if the MAP plans service has been absorbed into My Hobby Store and some of the original plans have disappeared. 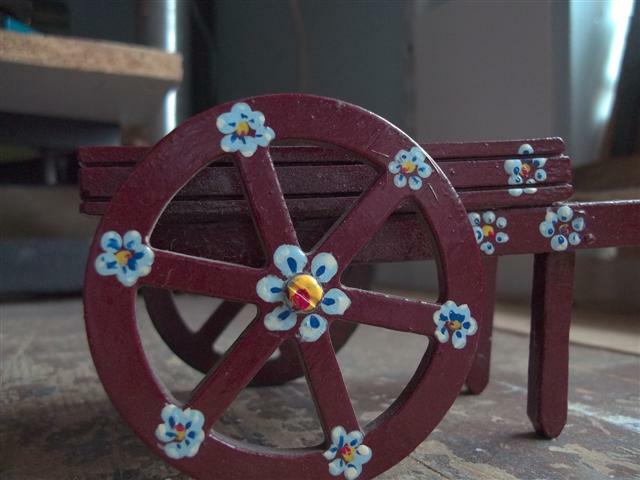 "You could always down-load the images and use them as a guide to hand painting your own"
I might even yet get round to making just the rear end of one dissapearing into the canal tunnel, however the art work intrigued me & I did a bit of practice on painting some canal style flowers, on a market barrow, did not get as far as castles. 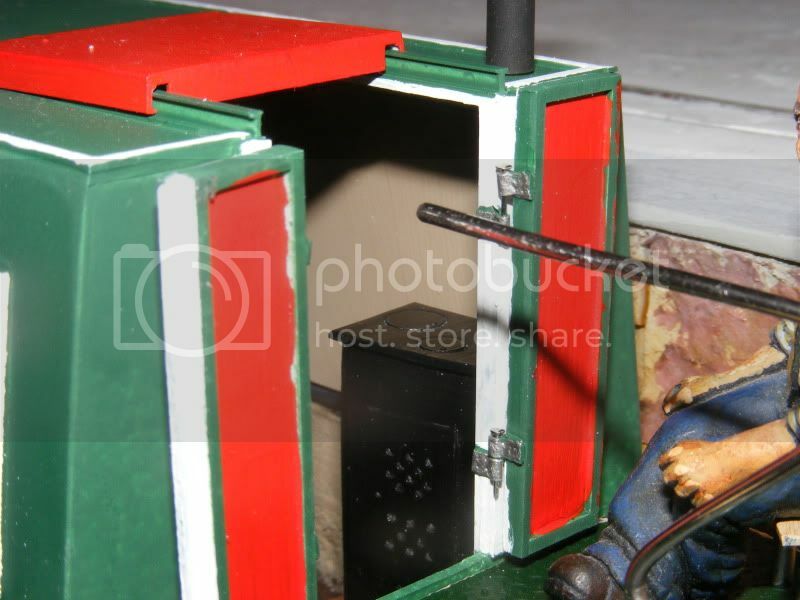 How do you speeel it - serendipity Just on an off change I typed 'narrow boat' into Trademe, the local version of Ebay. I got two hits, one a full size narrow boat a Kiwi couple are selling in the UK and a large model kit. 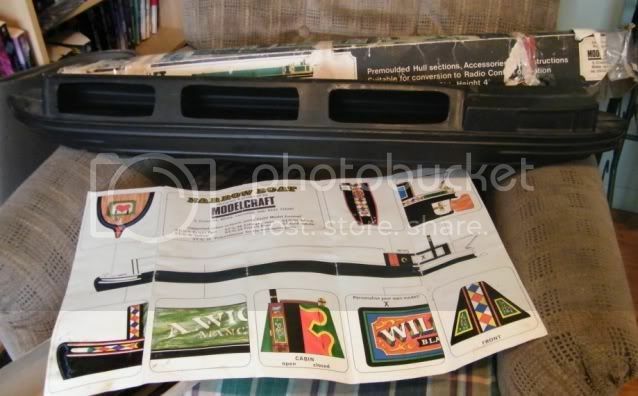 The individual selling it had owned the kit for about 20 years but never made it. I purchased the kit which arrived today and I've just measured up as being about 1:26th scale - the length and width don't quite scale out to the traditional 70' x 7'. 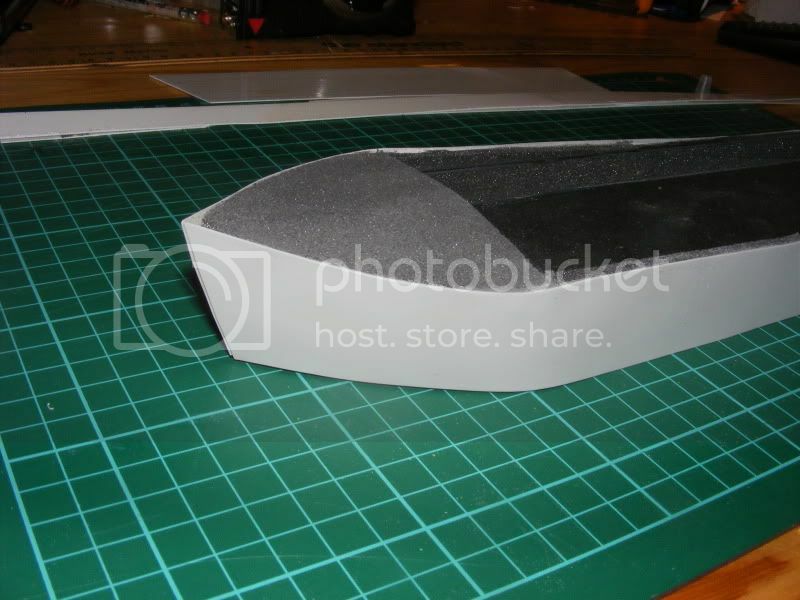 It consists of a pair of plastic hull half sections and various lengths of wood. Looks big enough to put a link span on the back, and make a roll-on roll-off canal-boat/ferry. Could fit several rakes of Gn15 wagons along the deck of that.